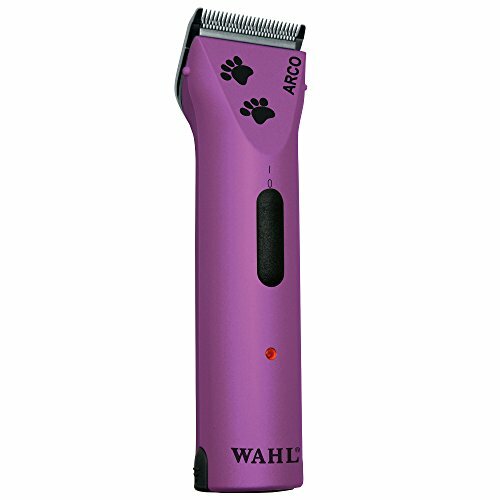 The original 5-in 1-clipper, the Wahl Professional Animal ARCO clipper grooming kit is the tried-and-true cordless option for precise trimming in hard-to-reach spots such as ears, faces, and paws for your dog, cat, or horse. It's also ideal for trimming and show cuts for goats, pigs, and cattle. Groomers, animal professionals, and pet owners have everything needed in a lightweight cordless clipper with the ARCO. The 5-in-1 fine blade adjusts between sizes #9, 10, 15, 30, and 40, offering a convenient variety of cutting lengths. With a rechargeable battery, this clipper has an 80-minute cordless run time and 75 minute charge time, plus it's easy to clean with a no-maintenance motor.